As the Asiad begins in Guangzhou, Cui Jia and Lei Lei find out how organizers got to grips with some sports that have never graced a Chinese event before. Hosting a major sporting event is never easy. From arranging venues to selling tickets and playing the appropriate music at medal ceremonies, everything poses a potential headache. Now imagine that the sport in question is one the organizers have never even heard of. Welcome to the 16th Asian Games, an event that this year boasts not only 14 non-Olympic events but also several that have never before been played competitively on Chinese soil. Along with popular global sports like badminton, basketball, sailing and cycling, Guangzhou 2010, which officially opens on Friday, will also feature kabbadi, sepak takraw and roller sports. 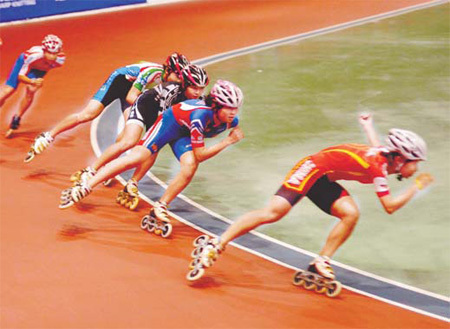 "The inclusion of non-Olympic sports allows Asian countries to showcase their traditional sports," said Li Naizhen, deputy director of the competition department for the Guangzhou Asian Games Organizing Committee (GAGOC). "We hope to make the event a festival for all Asian people." In fact, non-Olympic sports make up roughly 23 percent of all events at this year's Games. "In some ways, the Asian Games are more difficult to host than the Olympics because Chinese organizers were unfamiliar with sports rarely played here, such as cricket and kabbadi," said Xu Jianping, who is also deputy director of the GAGOC's competition department. To ensure the events run smoothly, experts from sports federations across Asia were invited to Guangzhou, capital of South China's Guangdong province, to help with preparations. "We also sent staff members to countries where those games are popular to get hands-on experience," added Xu. One of the biggest headaches has been cricket, which will make its debut at the Asiad this year. "We have zero experience organizing competitive cricket. We actually had to build China's first standard pitch," said Zhang Tian, 31, who is in charge of running cricket events at the 2010 Games. Although the China team has not had the perfect preparation (the lack of facilities has meant players have trained on soccer pitches), the same cannot be said for the pitch at the Guangdong University of Technology Cricket Stadium. This is largely thanks to Jashim Uddin, a Bangladeshi groundskeeper with 30 years of experience, who has spent seven months in the city working with the Asian Cricket Council. "It's been a tough road because (the Chinese organizers) didn't know what to do," said Uddin. "For a first-time effort, though, the facilities are excellent." 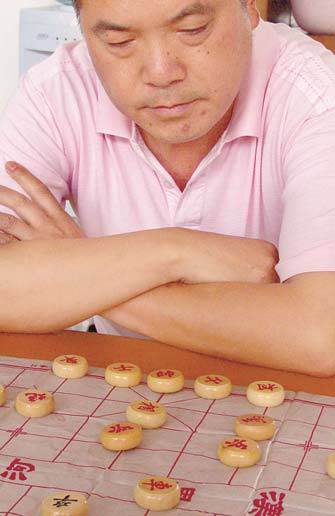 Wang Chenqu, deputy competition director of cricket, admitted he knew nothing about the sport before taking up his current position but insisted: "Just because we've never hosted cricket games, we still have to plan things to the finest details. "There are so many things we don't know but we are learning as we progress," he said. Bandula Warnapura, former Sri Lanka cricket captain and now a technical director with the Asian Cricket Council, inspected the Guangzhou committee's preparation on Nov 10, three days before the first 20-over match. "The Chinese are fast learners and everything has been very smooth here," said the 57-year-old. "When the Chinese make up their mind to do something, they do it well. "If cricket does well at the Asian Games, it could be an Olympic event soon, so this debut is extremely important. 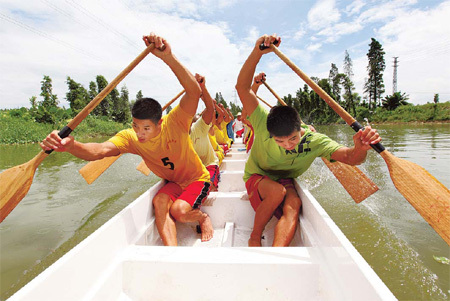 I have absolute faith in the organizers, even though it's their first time," added Warnapura. Tickets for the men's and women's events have been selling like the proverbial hotcakes, with sellout crowds expected at many games. Kabbadi, which originated in South Asia, is the only event the Chinese team will not compete in this year (the country does not have a national federation). 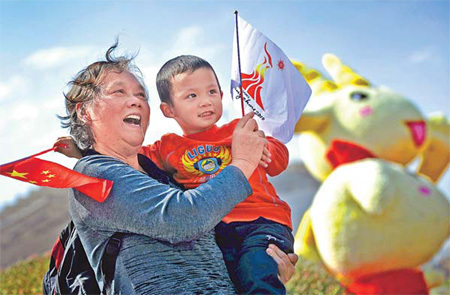 Su Jie, the director responsible for organizing the 2010 events, said the first thing she did after being assigned the job by the State General Administration of Sport was to turn to Google. "We had to start from scratch, from the basic rules to tactics," she said. "You can't successfully host a game if you don't know it, so our initial task was to learn from the Internet, previous Asian Games and experts." Today, Su is somewhat an expert herself after all her research - an experienced Gao Kunpeng, competition director for sepak takraw, said his team also shared. He added: "Our knowledge of the game was like a blank page at the start but now it's like a library of books." Help with kabaddi has also come from the Asian Amateur Kabaddi Federation, which will also train 30 Chinese coaches to teach the games in schools and colleges. 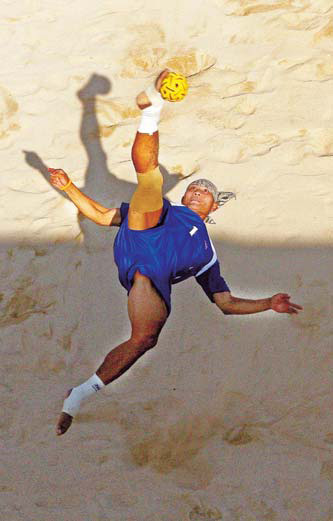 "(Kabbadi) can be played on grass or sand, so it is very suitable for the Chinese," explained Prasad Rao, the federation's technical director, who said he hopes a Chinese team will feature at the next Asiad. Wu Hong, who lives in Guangzhou, is one sports fan who cannot wait for the kabbadi competition to start. "I love the game because it's fun and relaxing," said the 46-year-old. "After all, the inclusion of non-Olympic sports is what distinguishes the Asian Games from other events. You cannot watch these games anywhere else (in China)." This will, however, be the last time organizers can include more than seven non-Olympic sports. The limit was set as part of efforts to reduce the costs of hosting the Asiad.